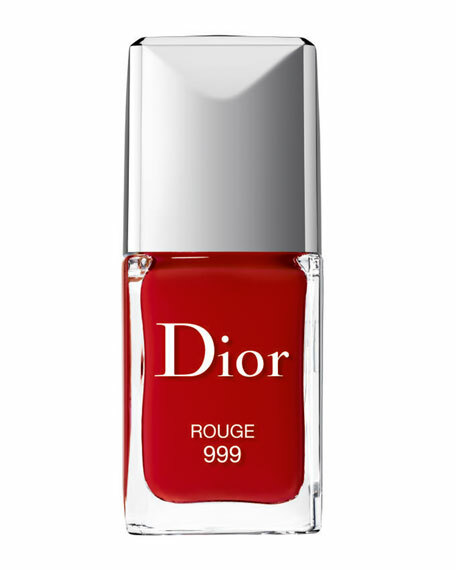 Never before has the color of the new Dior Vernis displayed such lacquered and vibrant shine! A cocktail of shine and sparkle amplifying active ingredients directs pigments and pearly particles to enhance light reflection tenfold. Once again, the array of enchanting shades created by Tyen reflects the spirit of Dior fashion shows. Application is even easier with the brush. Dior Vernis also features a new chip-resistant formula that protects and embellishes the nails, day after day.